Due to circumstances way beyond our control, the Sharks 2018 holiday has been changed from Wengen, Switzerland, to Champoluc, Italy. The dates remain the same 31st March to 7th April or depart 30th April (Good Friday) when flights may be cheaper. The lateness in this decision, is because ALL the Wengen & Grindelwald Hoteliers have been campaigning to keep it all open until after Easter, but having had many meetings have been unsuccessful. Everyone is disappointed and angry with this decision. We are also very, very sorry. On the positive side, at very short notice, we have managed to provisionally book the Peti Prince Hotel in Champoluc, Italy. Again, our sincere apologies for the change in venue, but where ever Sharks go, it is always a fun packed holiday. On behalf of Sharks holiday committee. 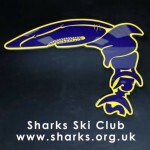 Copyright © 2014 Sharks Ski Club. All Rights Reserved.